Meme Motorsports – Page 2 – Much car stuff, Very Wow. 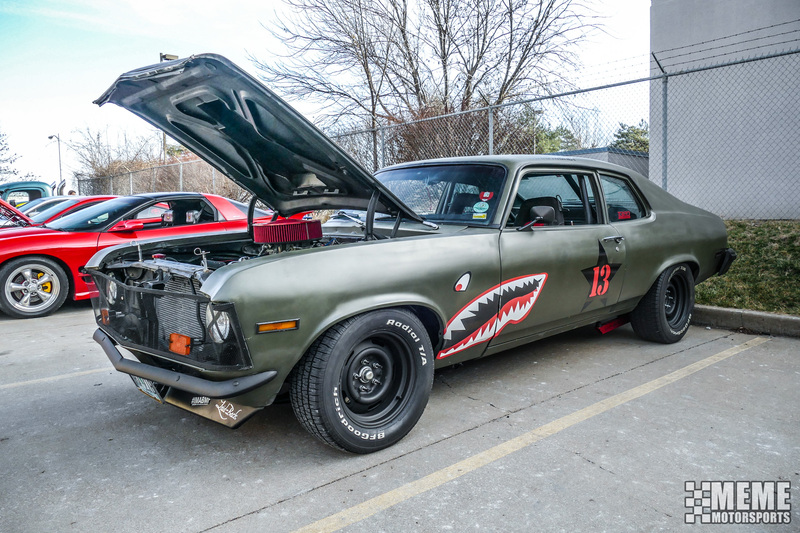 If the last two events are any indication of the future for the Kansas City Automotive Museum cars and coffee events, they’re going to be taking over the whole block. Plenty of cars, plenty of variety. 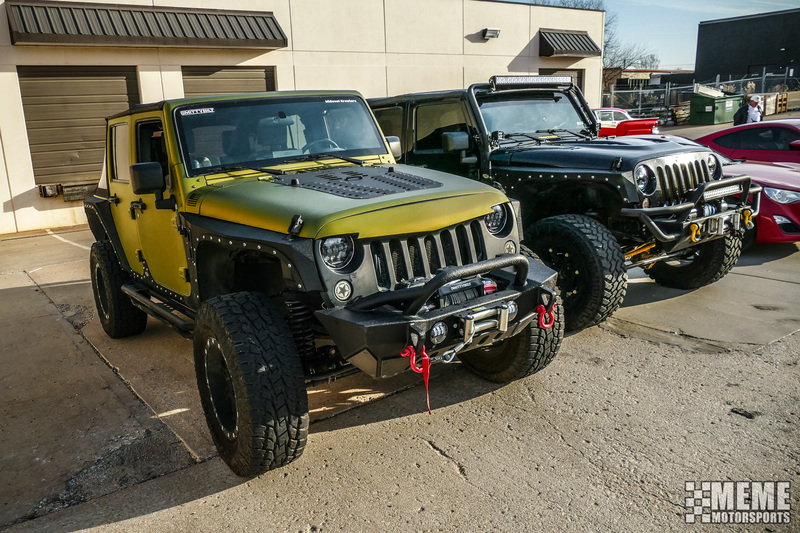 A new spot for this event was some beefy looking Jeep Wranglers. 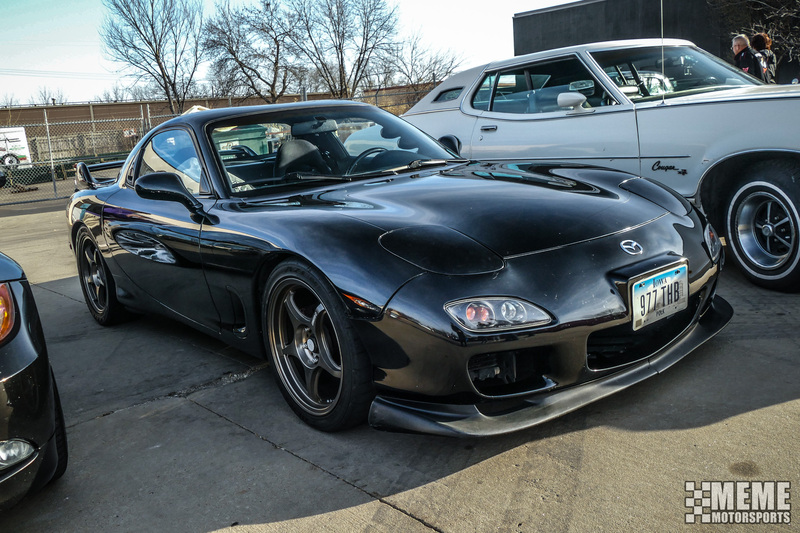 And who doesn’t love a clean FD Mazda RX7? And a well done bomber paint job really sells the mean look on this thing. As always, all the pictures and all the video you could ever want. The first thing I am going to say is FRICK THE COLD! This weekend’s event was great, but the weather can go die for all I care. It was cold even with the sun shining, and my super fluff gloves made camera control far from easy. A new spot at this event was a brand new Acura NSX. You really never get a good idea as to what a car looks like until you’re standing next to it, and this is when I realized the NSX is beautiful. I also never realised how much I want a large Audi coupe. 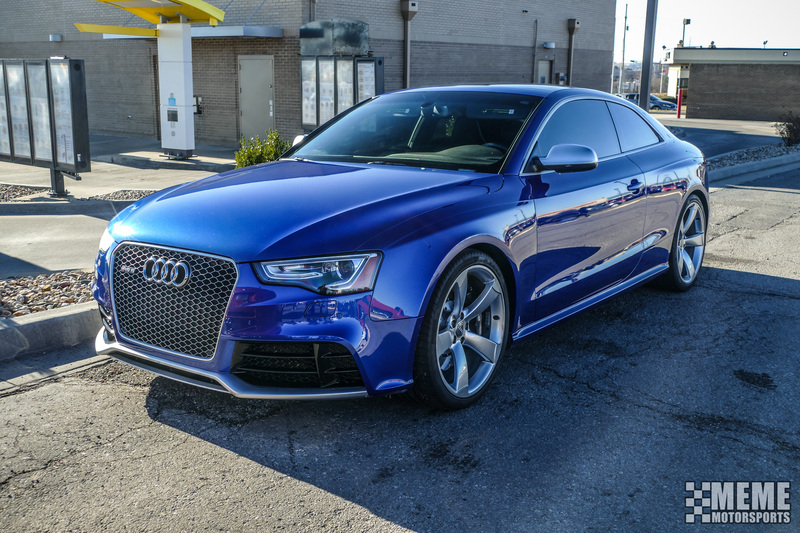 This RS5 looked so clean yet so simple. I wish more VW’s would use this formula, I think most of them look rather plain in comparison. On the other end of the luxury spectrum, This modern Caprice PPV was something I did not expect to see. With many local PDs going with the Ford Taurus or the Dodge Charger, a modern Chevy cop car is not something you see all the time out here. As always, I snapped many photos as well as some video for you to enjoy. This was a HUUUUGE event. I have never seen so many cars at this location before, and it made for an exiting time. Not only did we take up the lot in front of the Museum, we took up a large lot across the street from it, a lot next to that AND most of the blocks street parking. There were definitely a few spots that stood out to me. This Nissan Sedric Gran Turismo was something I had never heard of, and it just screamed ’90s JDM luxury. 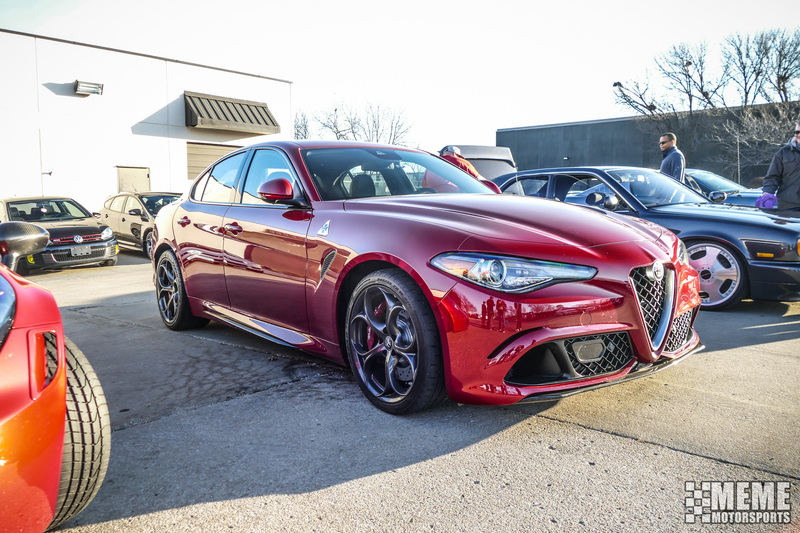 Then, the new and beautiful Alfa Romeo Giulia Quadrifoglio in stunning red really stole the show. Now getting up there in age but still looking great, this Ferarri Maranello in a punchy yellow was definitely easy on the eyes. There were plenty more wonderful rides that showed up, but it would take me all day to try and talk about them all. As always here is some digital visual content for you to digest as well as a full album. 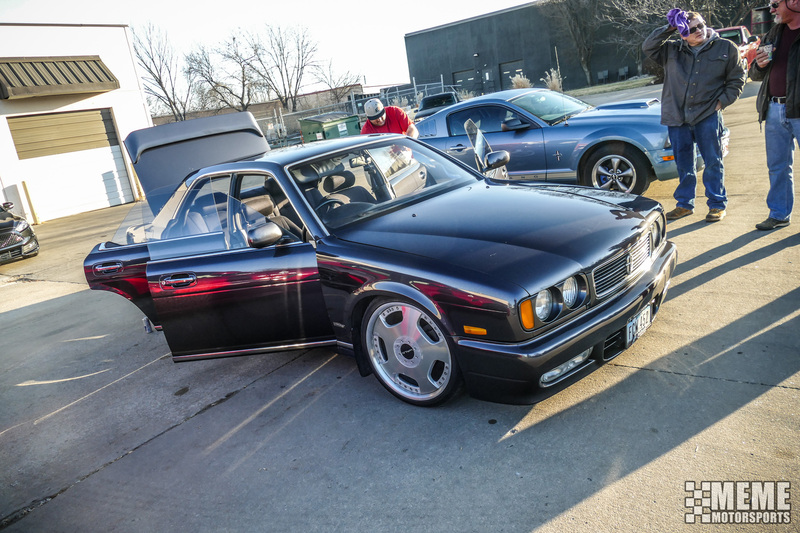 After the first Kansas City Cars and Coffee event at Doughboy’s Donuts in Raytown, Missouri the awesome folks at Doughboy’s decided to have us back! The weather was decent and the donuts were awesome. The first thing I noticed was a group of twins (BRZ/FRS) that all showed up together. 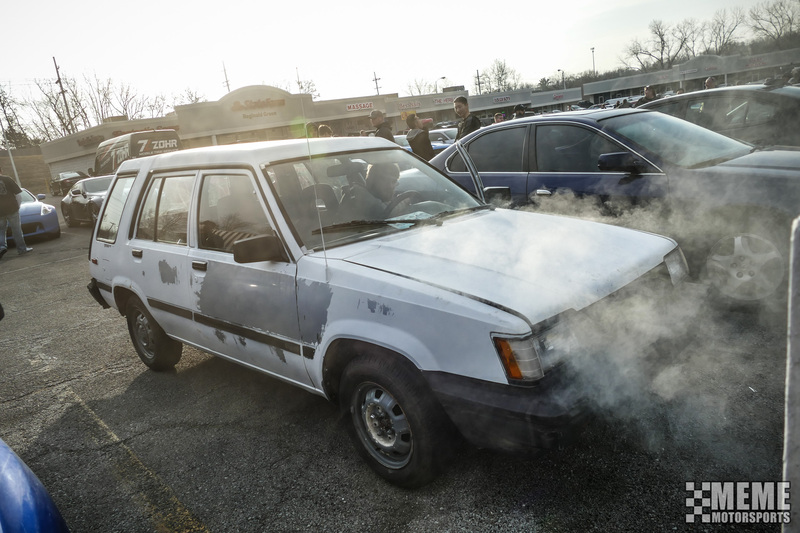 Another spectacle I enjoyed was a well worn Toyota Tercel wagon that showed up steaming. The owner reassured me that it was only from a hole in the top of the radiator. And who doesn’t love to seeing one of the most iconic shooting breaks in the world? 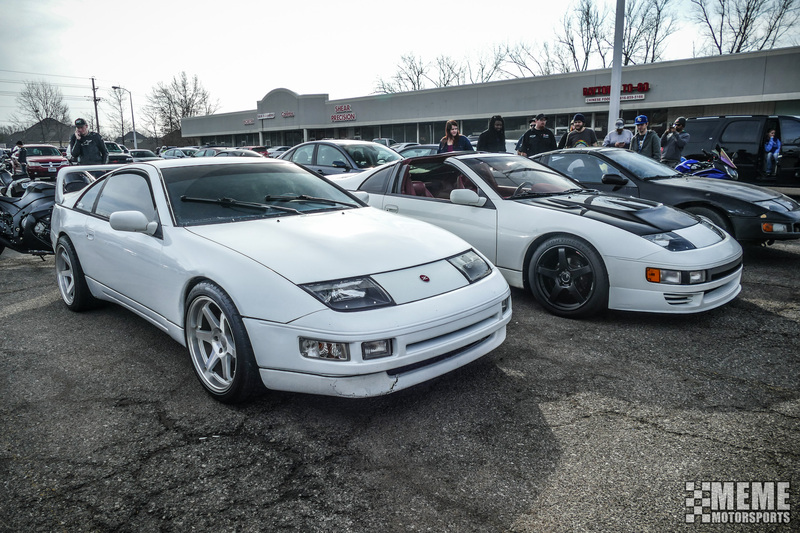 And to top it all off these two beautiful Zs were a sight to behold. Now I am all for the flashy, high-dollar exotics and the old-school hot rods, but there’s something about these seemingly easy to obtain “average” cars that become icons that just make them so much more exiting to see. As always there’s a moving picture to go along with these non-moving ones, as well as a whole album of stuff. Enjoy! 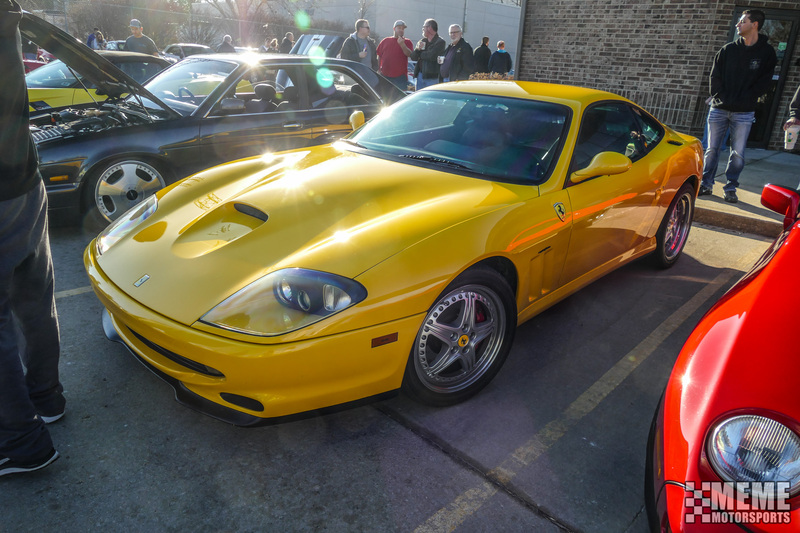 So far this year cars and coffee has been cold and dreary. The midwest is not really meant for this kind of car culture, but some of us just tough it out. I think today tricked a few people, as the forecast called for a high of 47 degrees but we only reached 29 degrees by the time the event was over. It was cold, I was cold, everything was cold but somehow we still had over 60 cars show up for the morning. 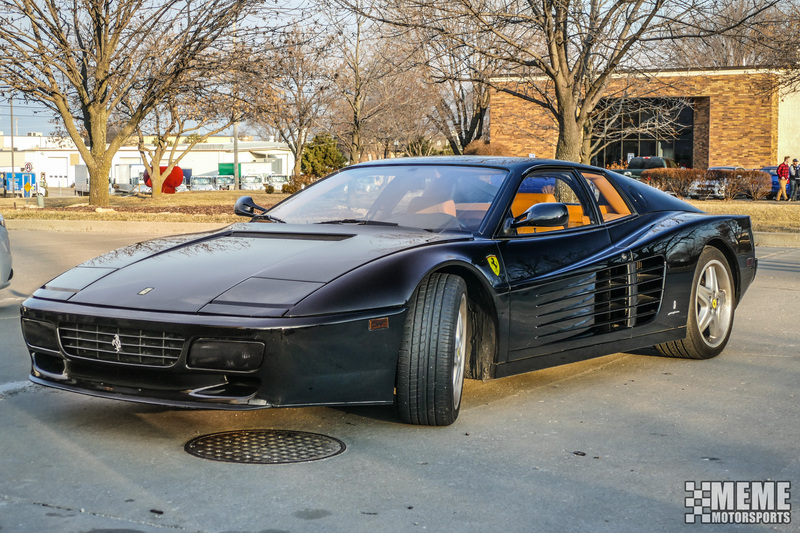 The weather didn’t keep this Ferarri Testarossa from stopping by along with a lot of other vehicles clearly meant for those warm weather weekends. 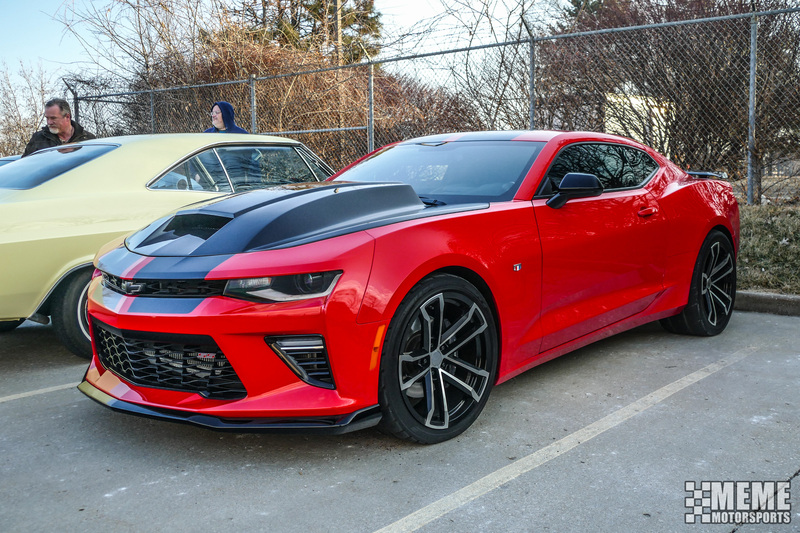 One vehicle that stood out to me was a newer Camaro SS with a hood that seemed to have enough space under the hood for a small studio apartment. The hood was of course not just for show, but necessary to keep the temperatures under the hood in check when racing. 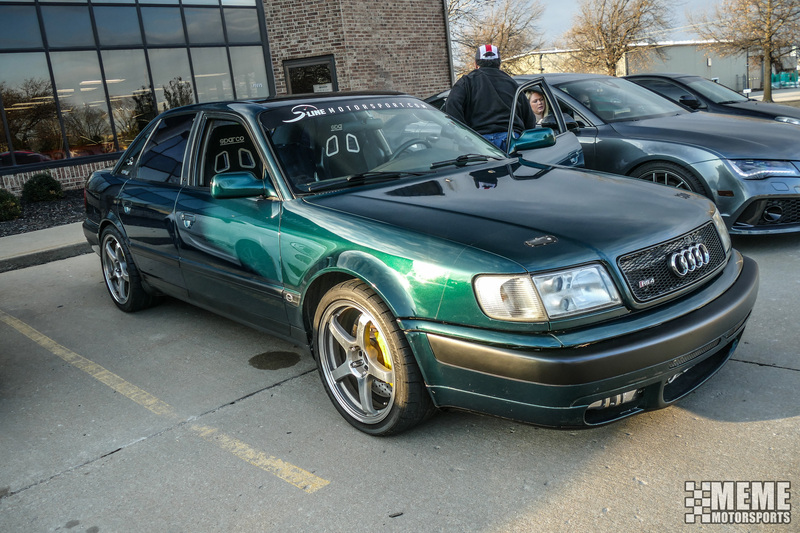 Another more subtle powerhouse showed up in the form of this Audi, which hid all of it’s goods under the hood. I do enjoy a nice honeycomb filter. 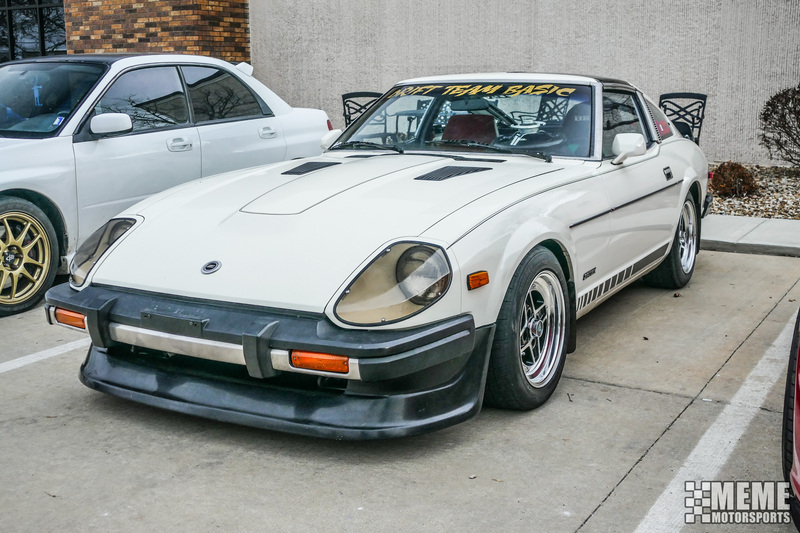 I also enjoy a nice Datsun like this older Z. As always there’s a bit of video and even more pictures you can see here below. The year of 2017 is in full swing, and that means a lot of things are changing in everyone’s lives. For me, I plan on doing what I did last year, but a lot more of it. 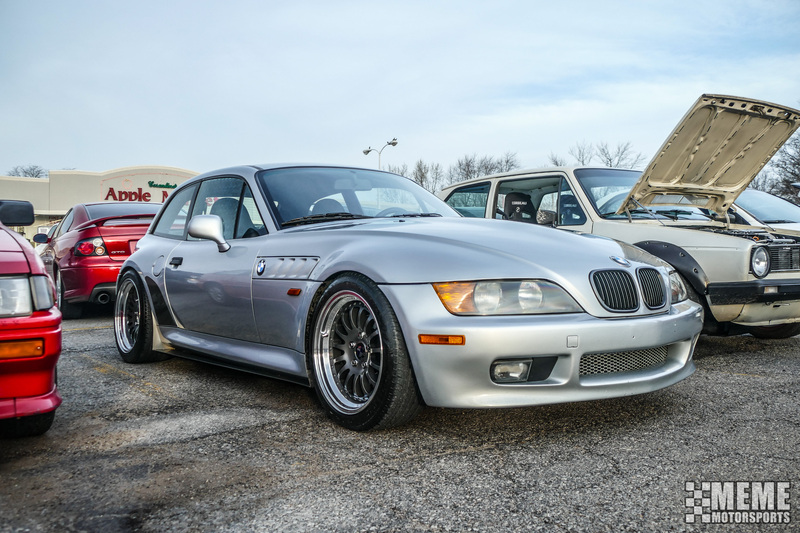 First, I plan on attending a lot of Cars and Coffee events, as well as some other automotive events and races. Heartland Park in Topeka Kansas is up and running this year, so I will probably swing by and spectate a few road races and drag races. I also plan on attending the 100 Acre Wood Rally in March. Second, I plan on participating in a few more autocross events. last year I was one event away from being in the championship, and this year I plan to attend at least the minimum required if not more. I also plan on making some modifications to the Focus ST for autocross. I plan to install an aftermarket rear sway bar to tame the rear of the car, as well as purchase some dedicated autocross wheels and tires. One thing I didn’t mention in my video is that I plan to do some visual mods as well. Visually I plan to take the OEM snowflake wheels and paint them gold/bronze. I also plan on getting the windows tinted. The last thing I want to do is to add some graphics to the car, most likely in the form of giant magnets I can put on the hood and doors with my logo on them as well as some fun car memes or something. I’m sure I’ll be adding more to this list as the year goes on, but for now I think this is a great start. Friday Craiglist Finds – Mildly Modded C5 Coupe for under $10k? Here’s something new I’m going to try. I cruise the Craiglist cars+trucks section often, just seeing what’s out there for sale. Sometimes I like to look for a fun sports car, other times I like to see what crazy stuff people are trying to sell, and maybe I’ll look for a nice dependable daily to suggest to someone. I thought it would be fun to share my Craiglist adventures (not those kind) with the world to show everyone what’s out there and why they should buy it (or not). For the first ever “Friday Craigslist Finds,” I figured I would start off with a nice performance bargain, and something I’ve always wanted to own. Problem is I’d probably like to own every vehicle I write about, but I’ll probably never own any of them. Today I was just really feeling the C5 Corvette. Just like it’s cheap plastic interior, the value of these cars has crumbled over the years. It’s easy to find an example for $10,000-$15,000 depending on the condition and your location. With an original base sticker of $40,000 in 1999, or around $58,000 in 2016 dollars, it could certainly be worse off in the depreciation department. The low price doesn’t mean there’s anything major wrong with the C5 Corvette. Of course newer models are better, and the interior is typical 90’s Chevy, but it’s hard to find anything with comparable performance for the same price. with a reliable 345hp powerplant under the hood and a great chassis to back it up, the C5 is really one of the best performance bargains on the market right now. Of course the Corvette is not safe from stereotypes, most people will either expect you to be a huge douche or a 90 year old man if you own this car. I’d say those assumptions are a small price to pay for what you’re getting. Right now on my local Craigslist, there’s a bright red C5 with 113,000 miles for only $9,000. That’s less than ten grand for a rear wheel drive V8 performance coupe who’s name is known by every living thing on this earth. 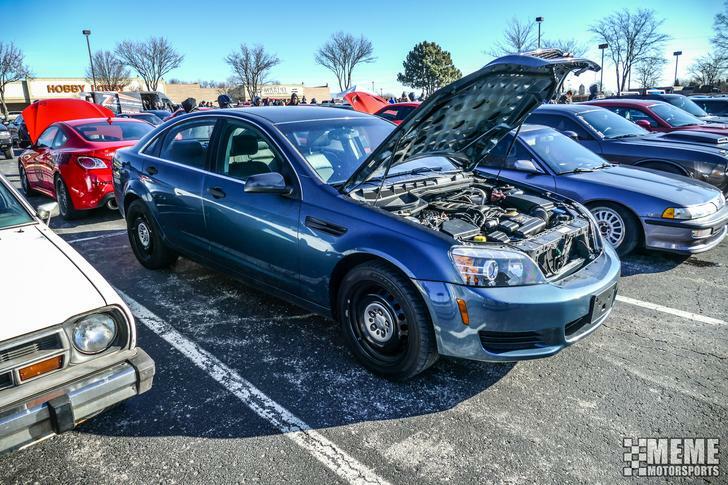 You can either buy a newer used Kia econobox, or you could own an American performance Icon. This one is not without it’s potential issues, it was originally an automatic but now has a 6-speed gearbox along with some other performance modifications. If everything is done correctly this will definitely add to the bargain factor. I wouldn’t call this a “project,” but any car you buy that has major swapped parts can become a nightmare if things weren’t done correctly. Just put on your mechanic hat when you go to inspect it, you should be able to spot any issues if you do your research. And to continue this cost bargain adventure, the C5 Corvette isn’t even that bad to maintain. The drivetrain is extremely reliable and though some parts are a bit pricey, they’re still significantly cheaper than most performance vehicles. So what are you waiting for? Hell, what am I waiting for? Buy a Corvette C5 today and enjoy a bit of All-American performance. Just don’t go crashing it into a ditch like one of these fools.